OnGuardACTIVE is an advanced driver assistance system that provides the driver with acoustic, visual and haptic alerts in potentially dangerous situations. 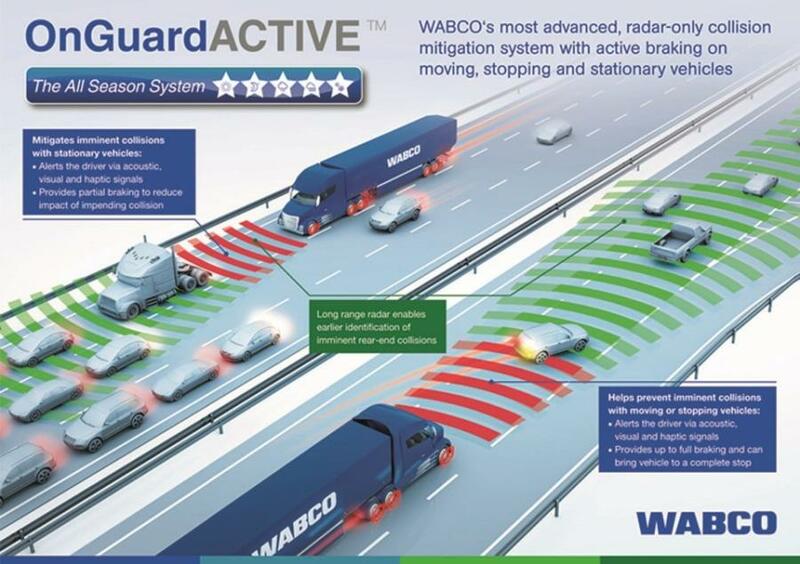 Peterbilt Motors Company announced the availability of WABCO's OnGuardACTIVE safety system on its medium duty Models 348, 337 and 220. OnGuardACTIVE is an advanced driver assistance system that provides the driver with acoustic, visual and haptic alerts in potentially dangerous situations. The system also will engage the braking system to prevent a collision with a moving or stationary vehicle in the event the driver does not respond soon enough. The system is always on for vehicle speeds above 15mph even when cruise control is disabled. For more information, visit www.peterbilt.com.